Looking for a Used Escape Hybrid in your area? CarGurus has 277 nationwide Escape Hybrid listings starting at $1,595. 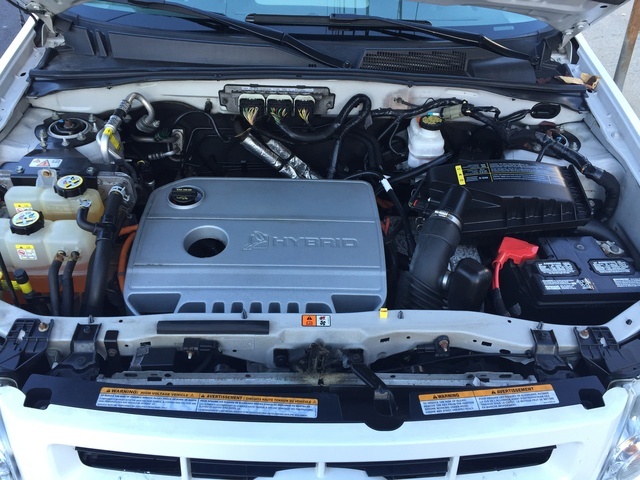 Suspension, braking, transmission, and interior revamps, coupled with a bigger engine, spell a much better Escape Hybrid for 2009. Prices that place it at the top of its segment and availability that has left too many consumers wanting have made for a couple of large stumbling blocks in Escape Hybrid sales. You honestly can’t do better than the Escape Hybrid in 2009. With a mileage rating that was already the best in the SUV market, this year’s improvements in both performance and efficiency are hard to argue with. If you can find one, and don’t mind the price you’ll pay for a well-equipped version, grab it. 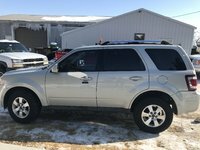 With more power, better gas mileage, an improved suspension, and a redesigned interior, the 2009 Ford Escape Hybrid may just be more of everything we’re looking for. It's a shame, however, that there aren’t more of them. Despite promises of 250,000 hybrids from William Ford himself, we’ll see only a tenth of that number on the road anytime soon, as production has been limited to 25,000 due to costs that have actually put Ford in the red with each Hybrid sold. With that in mind, Escape Hybrids are selling. During the first four months of 2008, Hybrid sales were almost 10% higher than in the same period during the previous year, despite only minor visual changes to a model approaching 10 years old. It seems the only thing holding Ford back with the Hybrid is price, both for the manufacturer and the consumer. A base Escape Hybrid will cost you $28,000, but fully loaded you can expect to pay over $36,500, a full $3,000 more than the Highlander Hybrid, a vehicle that actually produces profit for Toyota. Still, the Escape Hybrid provides a lot for its price, whether in base or Limited trims, and especially in 2009, with so many additions and changes. A 2.5-liter inline four replaces the 2.3-liter from previous model years and brings with it an increase in hp from 155 to 177 in both FWD and 4WD models. This is due partially to increased displacement, but also to variable intake cam timing. While most of the hybrid technology is carryover, the system has been heavily refined, specifically the system’s processor and brake sensor, resulting in much smoother application and switching, eliminating the shudder noticed in previous years when the vehicle shifted between electric and gasoline engines. This refinement has also allowed the electric mode to operate up to 40 mph, an improvement of over 10 mph, and equal to or better than any other vehicle in the class. This pushes the Hybrid's MPG rating to 34/31 for FWD, and 29/27 for the 4WD, despite the distinct lack of a locking differential or a low gear for proper off-roading. However, given the low-profile tires, and the full chin-spoiler, any ideas you had about off-roading were dashed before you even turned the key. Finally, Ford engineers have finally gotten the Hybrid’s Continuously Variable Transmission (CVT) correct, eliminating the characteristic whine of previous model years. Some of the biggest improvements for 2009 appear in the frame of the Escape Hybrid, which benefits from a rear anti-roll bar for the first time, as well as added reinforcement of the A-pillars, frame rails, and cross members. Body roll is almost imperceptible, and overall, the 2009 is silent and solid compared to previous years. New low-rolling-resistance Michelins wrapped around 16-inch alloys unique to the Hybrid provide excellent road feel and absorb impact quite well through the newly tuned suspension. Standard stability and roll stability control really increase the overall refinement of the ride. However, some have mentioned that the Electronic Power Steering on the Hybrid can at times be a little too powerful. Potential buyers should take into consideration the kind of driving they’ll do in a hybrid SUV. Some of the most positive comments about the Hybrid have come in regard to its revamped interior and navigation system, which some have suggested is the best available amongst all manufacturers. Plastics in the cabin have all been replaced with more attractive materials, and an optional Leather Comfort Package probably pushes the boundaries of what an SUV should be, although it's kept in check by a traditional 60/40 split-folding rear bench. The Hybrid Premium Package provides the consumer with a 110-volt power supply, retractable cargo cover, compass, auto-dim rearview mirror and illuminated visor mirrors, heated power leather-trimmed front bucket seats, leather-trimmed 60/40 rear seat, leather-wrapped steering wheel, body-color heated mirrors, roof rack with crossbars, and a safety reverse sensing system. Other options include a 320-watt Audiophile Sound System with a 6-CD changer and seven speakers, a 6.5-inch color LCD screen with high-quality graphics, voice guidance and touch-screen for the DVD and Navigation systems, a moonroof, and satellite radio, not to mention a 10GB hard drive for mp3 storage. Six standard airbags - front, side impact, and side curtain - provide crash protection from a multitude of angles, and the Hybrid’s new regenerative braking system provides greatly increased pedal feel, as well as traction and stability control for the very first time. A low pressure tire warning system is standard as well. Both the NHTSA and the IIHS have rated the 2009 Escape Hybrid 5 stars across the board, and the IIHS has additionally named the Hybrid a "Top Safety Pick", both substantial improvements over 2008. Always pleasing to hear, many owners have found they achieve much better than the advertised mileage rating, often breaking 50 mpg when actively trying not to favor their right foot. The Escape's interior revamp has been extremely well-received, with particular praise for the infotainment system, both in look and functionality. Both handling and performance are mentioned as noticeable improvements from the 2008’s. However, price and availability have been sore points, with many people finding difficulty securing a Hybrid and often having to wait months to take ownership. 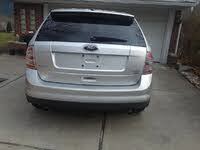 What's your take on the 2009 Ford Escape Hybrid? 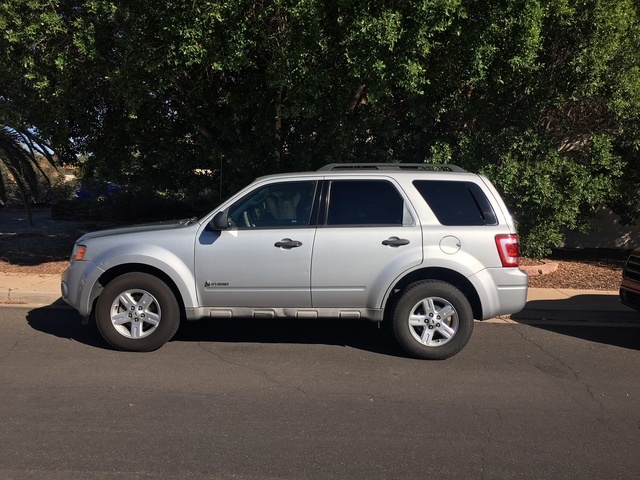 Have you driven a 2009 Ford Escape Hybrid? 2009 Ford Escape Hybrid - Very slow acceleration from stop and rolling if I don't let car warm up and switch into EV mode first before starting to drive.